Innovative automated solutions for modern manufacturing. Reliable test bench technology with excellent performance. Powerful drives according to customer specifications. Intelligent technology for optimum error recognition. Efficient machines with persuasive service life. Modern machinery for complex machining. Unlimited possibilities in building automation. 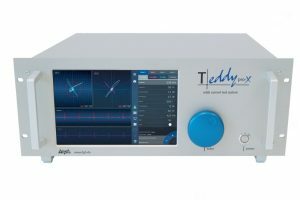 Multi-frequency test with up to four simultaneous test frequencies in all channels. Harmonics analysis of the 3rd, 5th and 7th Harmonics in all channels. I AM AT YOUR DISPOSAL.